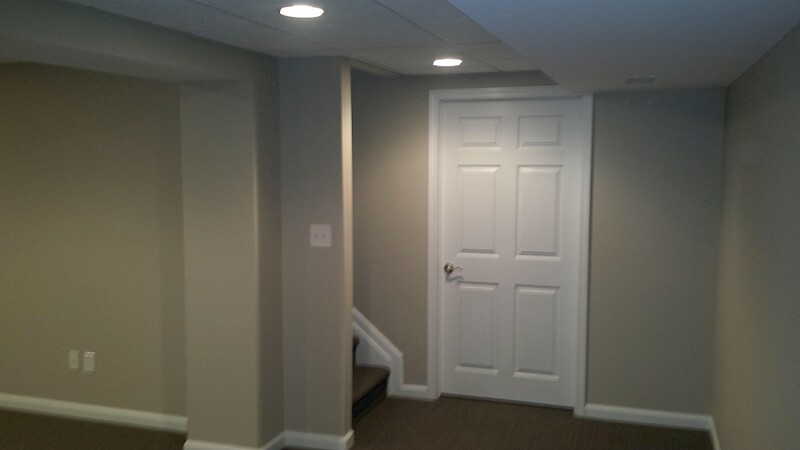 This basement renovation quickly turned into a bevy of home improvements that really highlight Exemplar Carpentry’s versatility and craftsmanship. 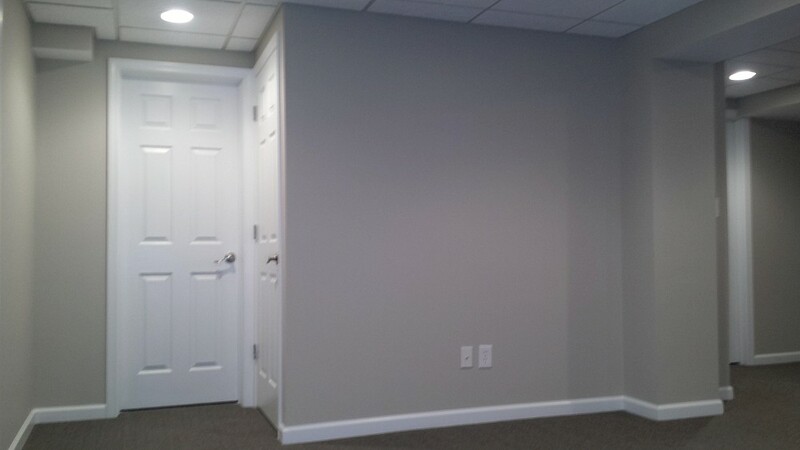 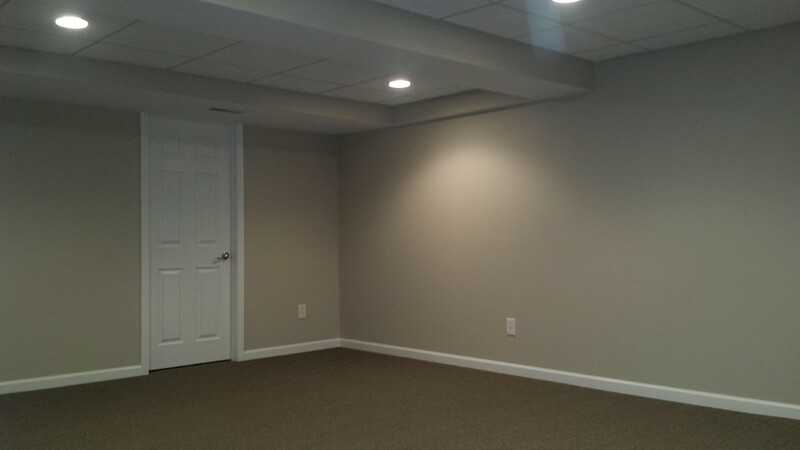 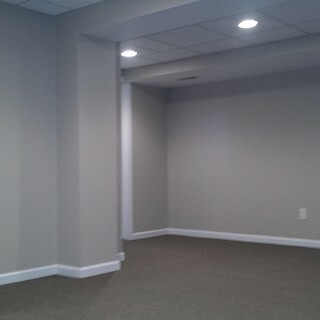 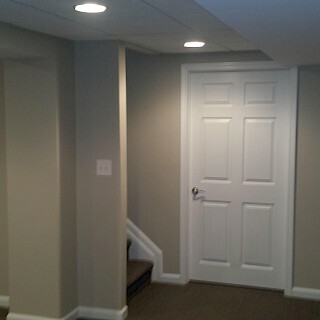 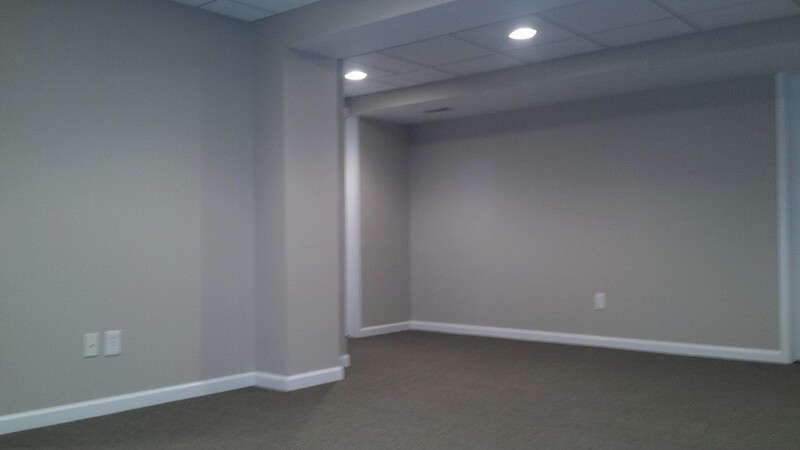 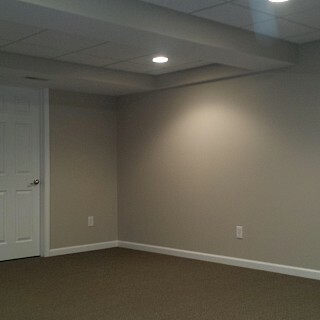 Not only were we able to provide our customer with a finished basement we were also able to accomplish several other projects throughout the house and garage. 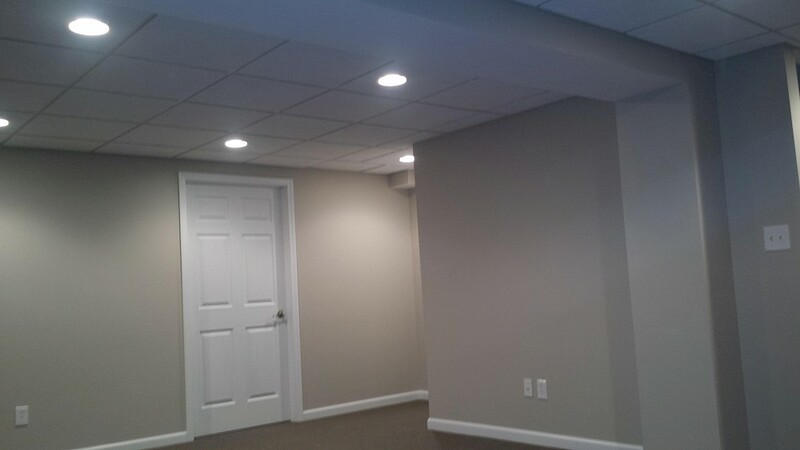 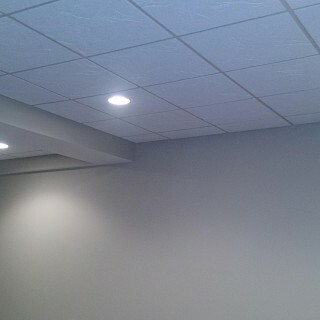 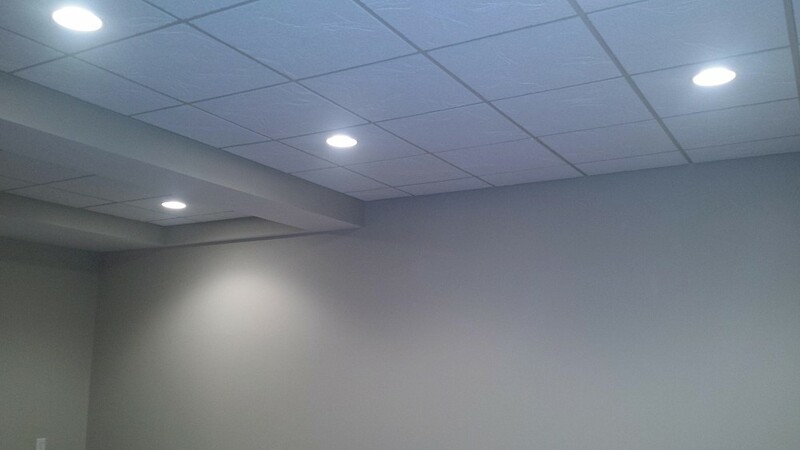 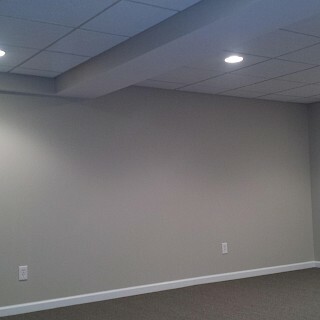 The basement started with framing and drywall and then we painted and hung a suspended ceiling. 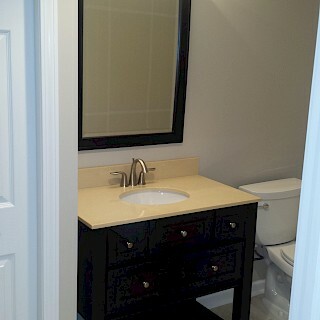 Trim was added and the closets were lined with cedar. 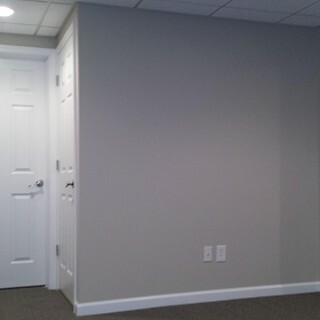 The entire space was then carpeted. 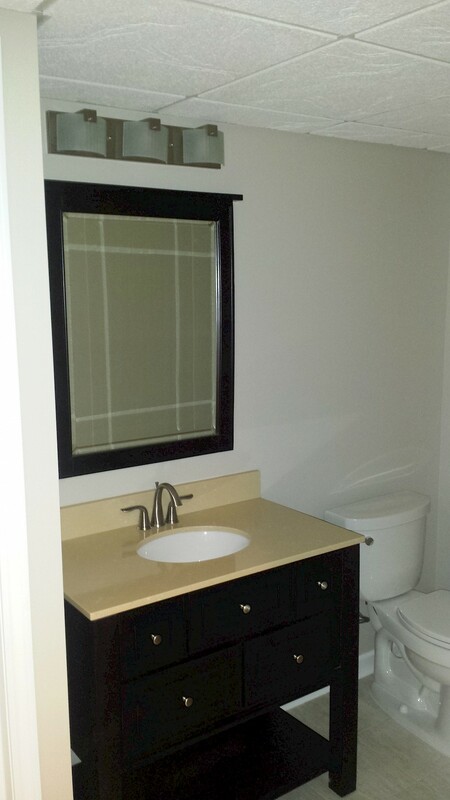 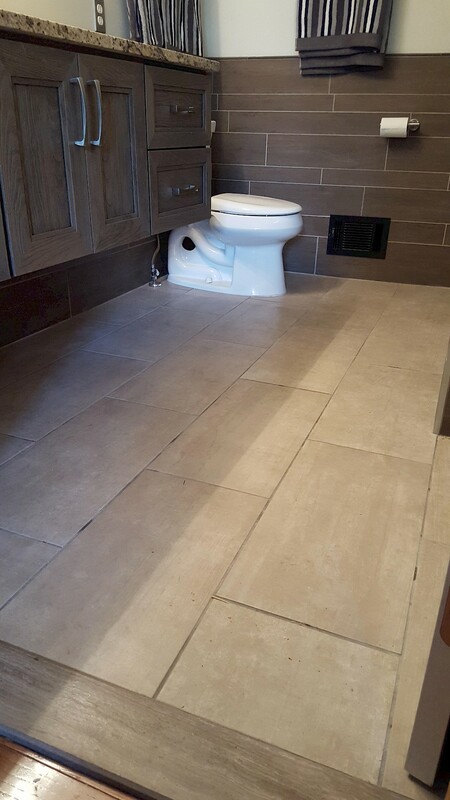 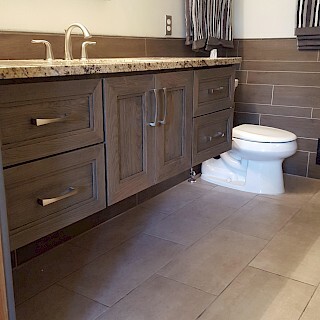 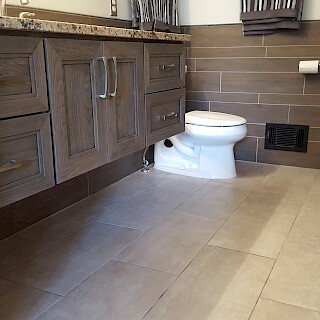 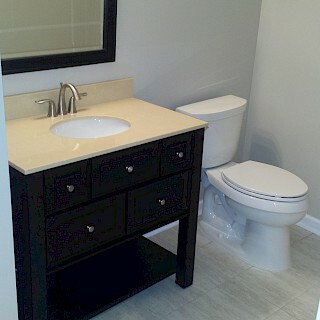 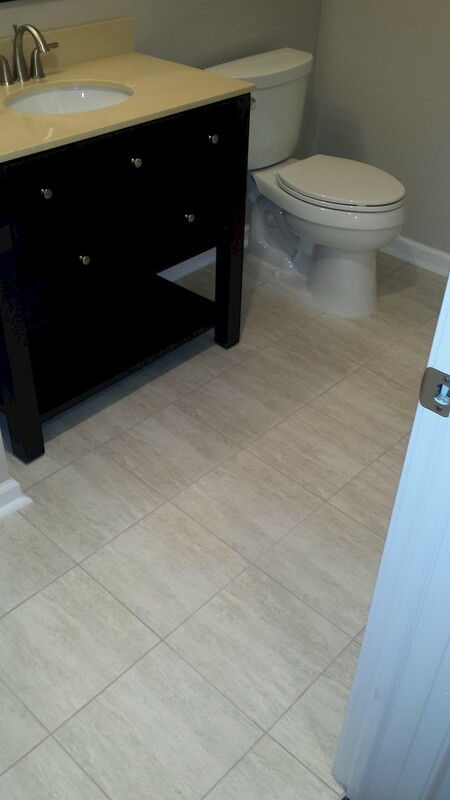 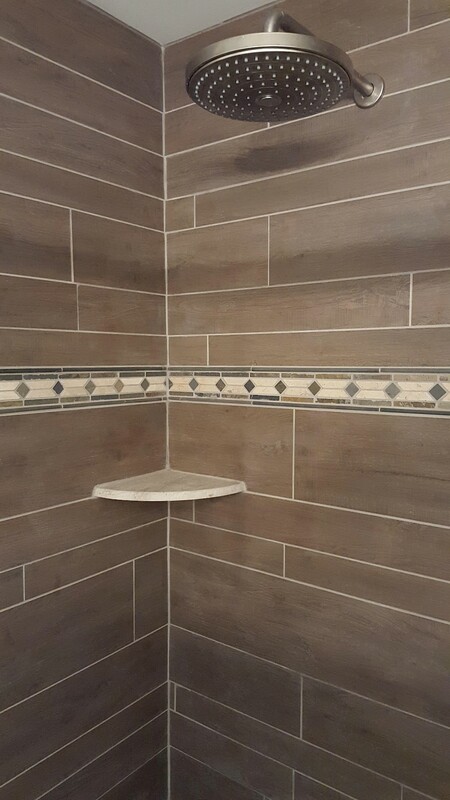 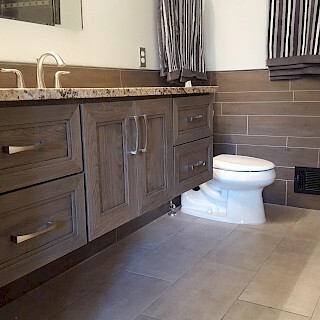 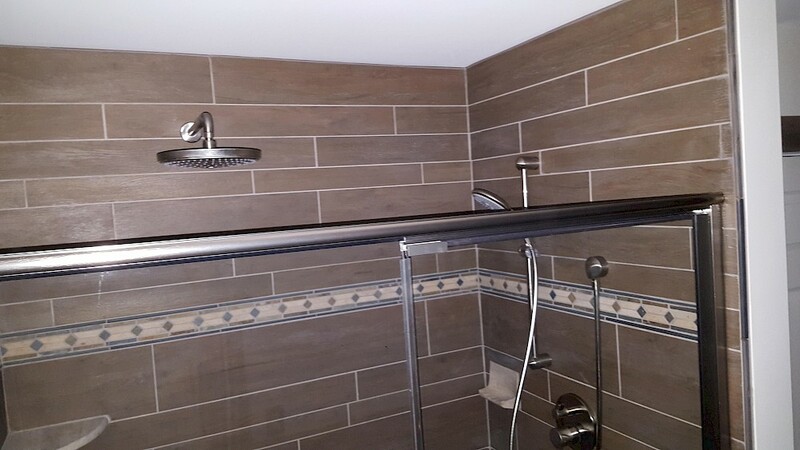 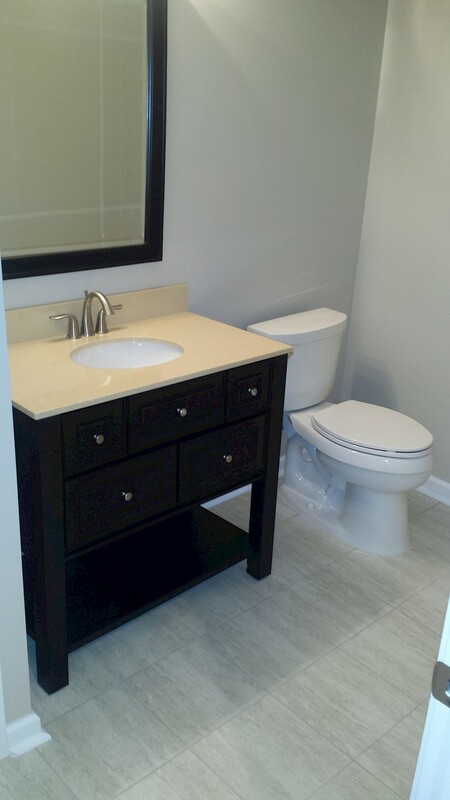 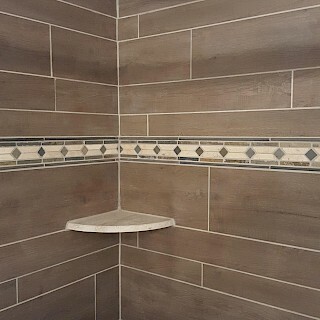 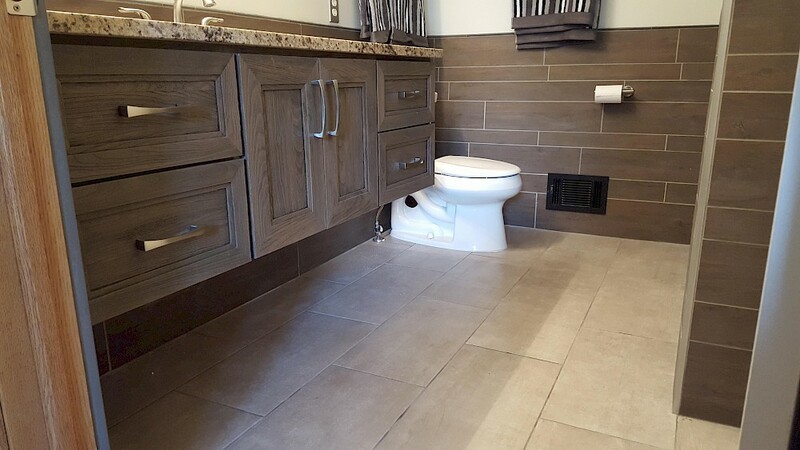 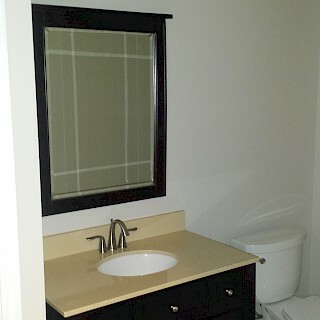 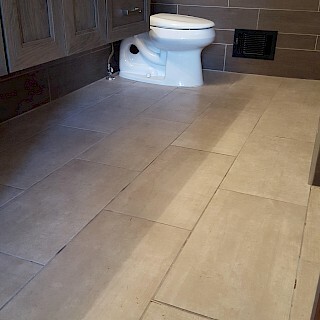 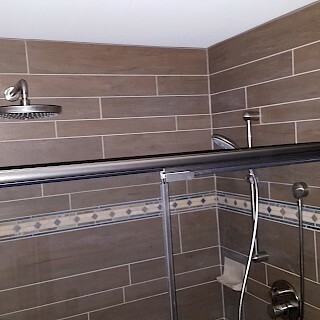 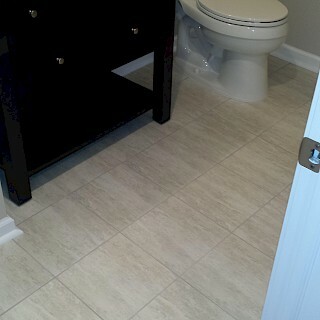 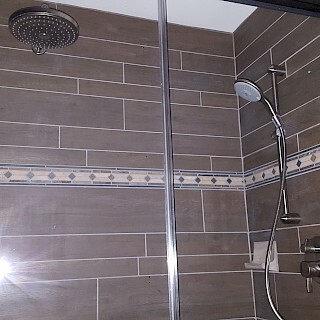 Finally, a roomy half bath was added featuring ceramic tiled flooring. 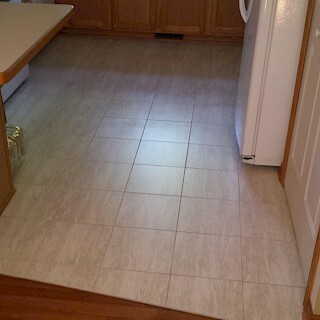 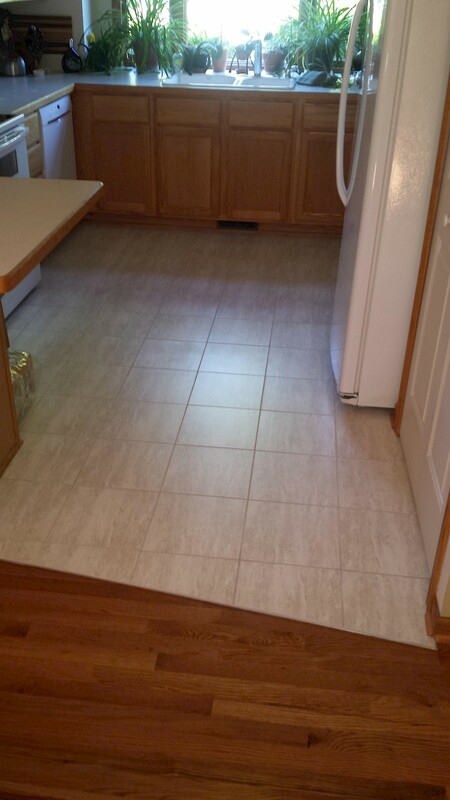 The kitchen was updated with the removal of the linoleum flooring and hand installed ceramic tiles put in. 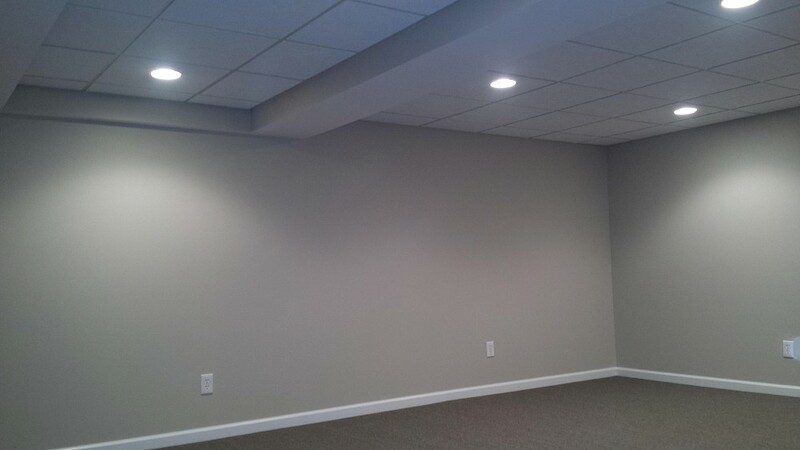 The garage was completely updated with new drywall installation and finishing, painting, trim, and the addition of an epoxy flooring. 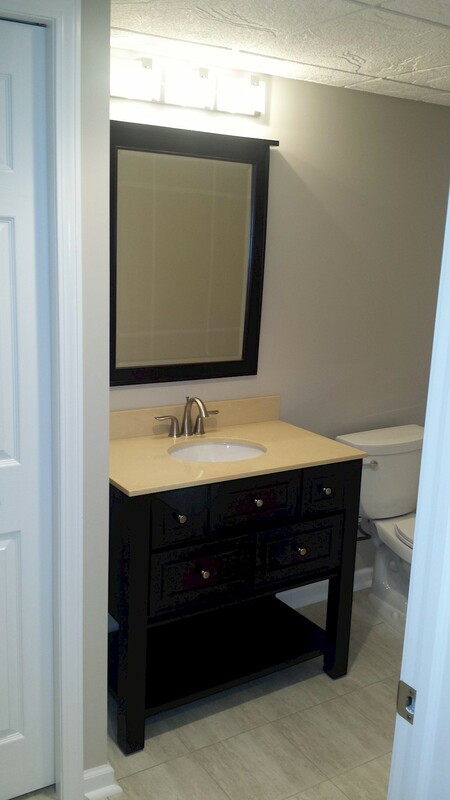 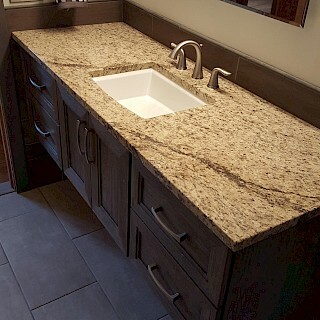 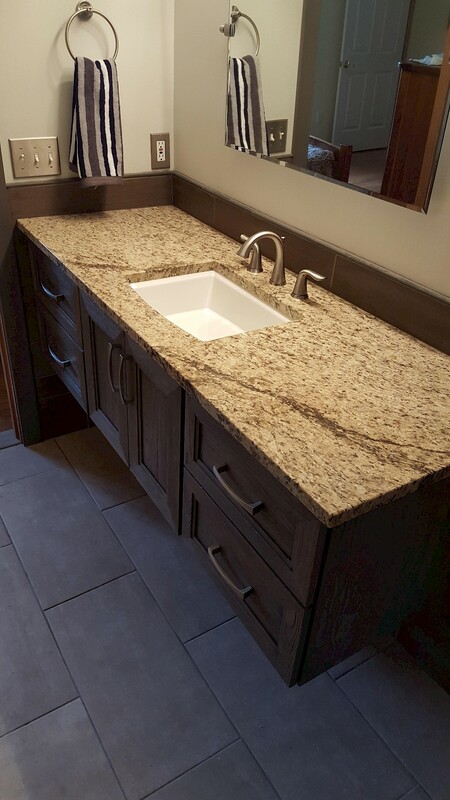 The master bath is a luxurious transformation from basic and bland to absolutely stunning and beautiful. 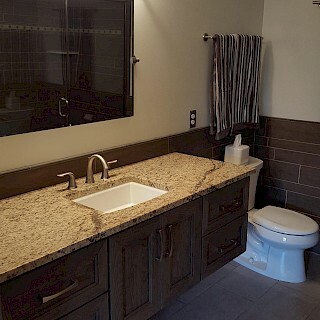 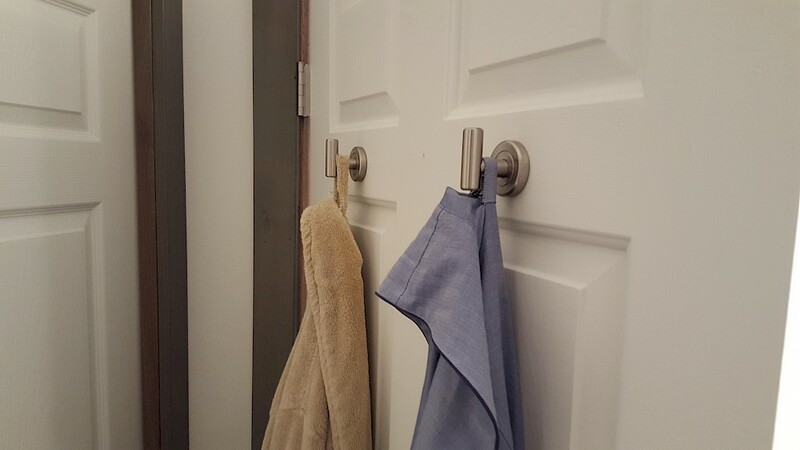 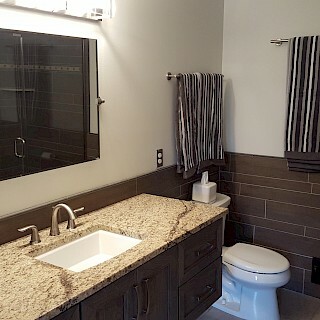 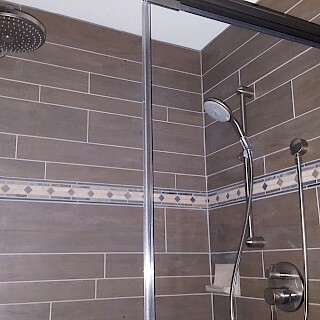 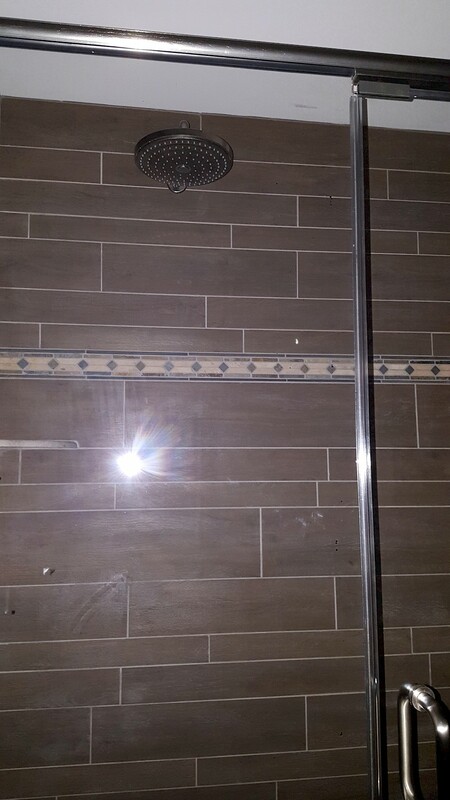 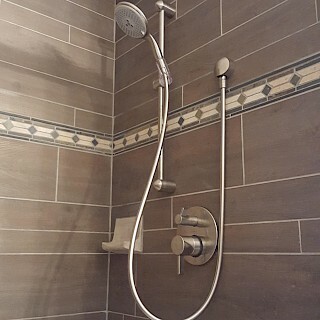 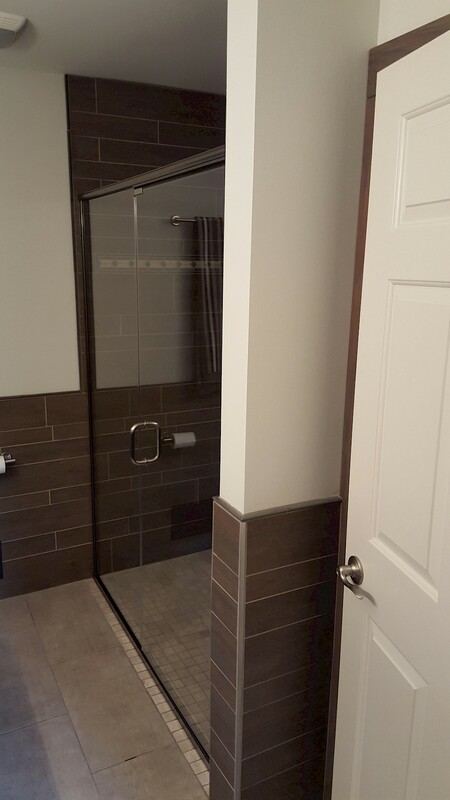 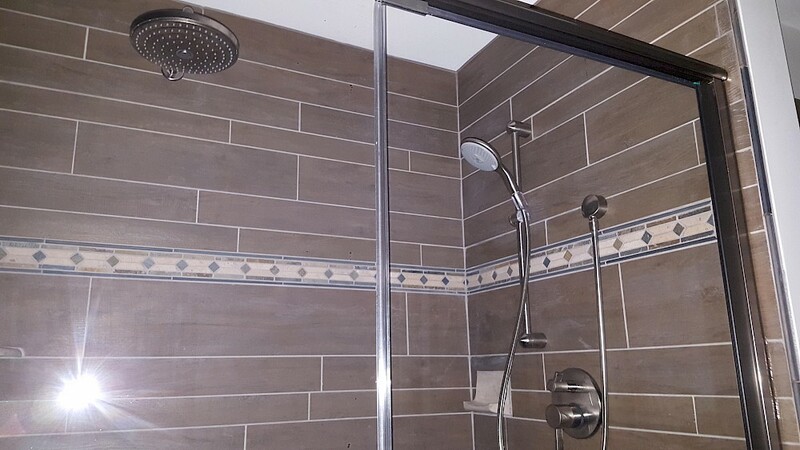 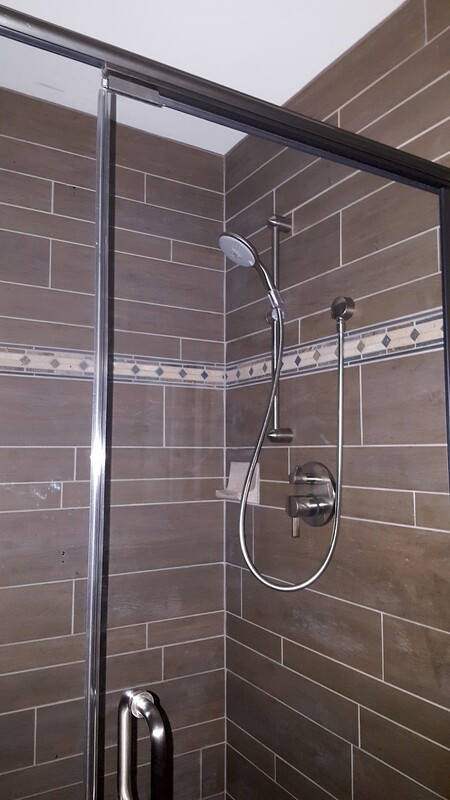 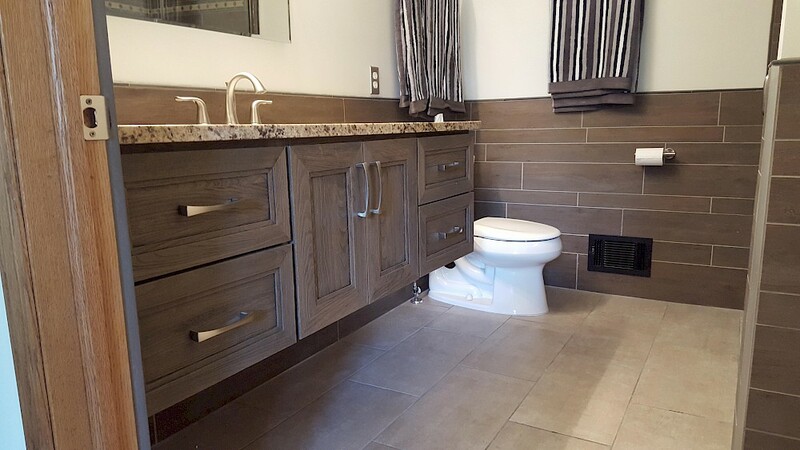 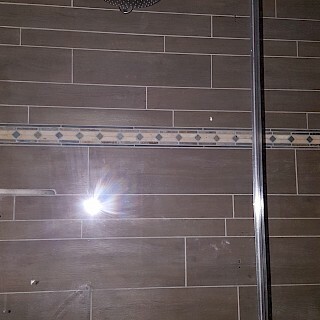 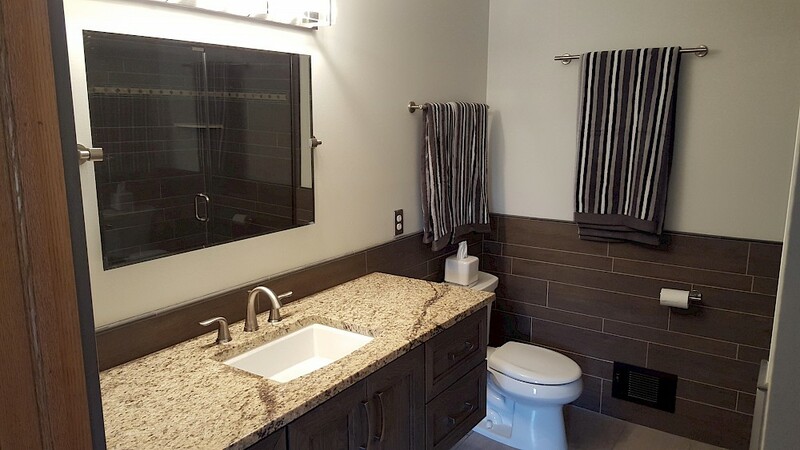 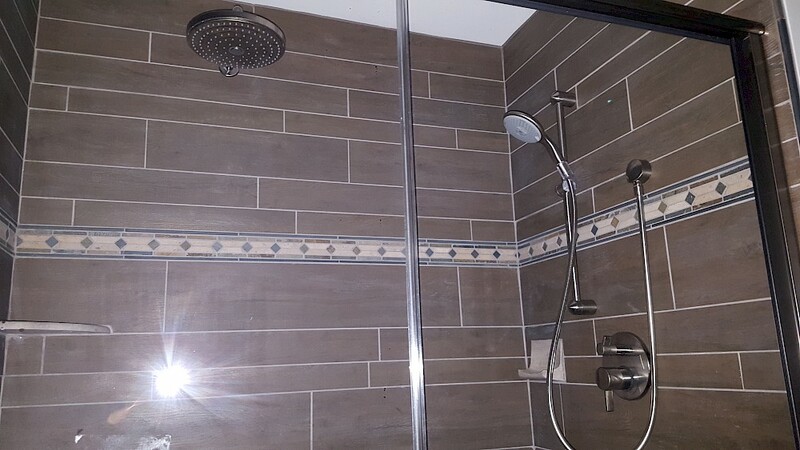 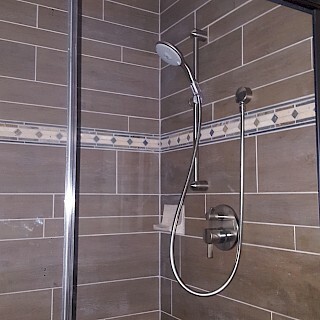 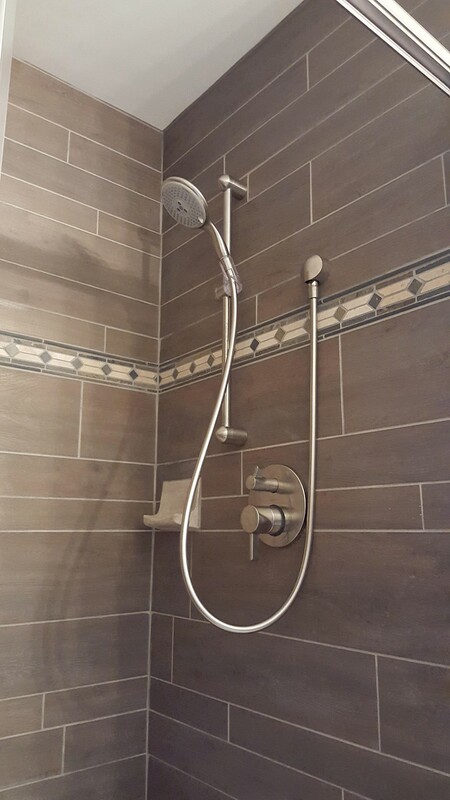 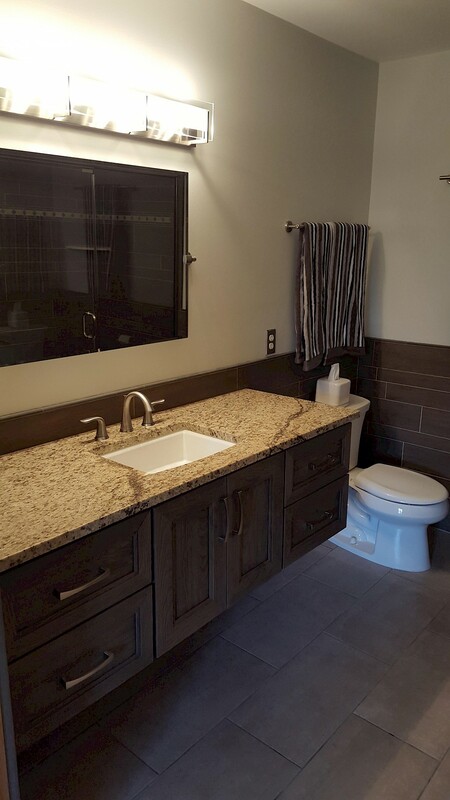 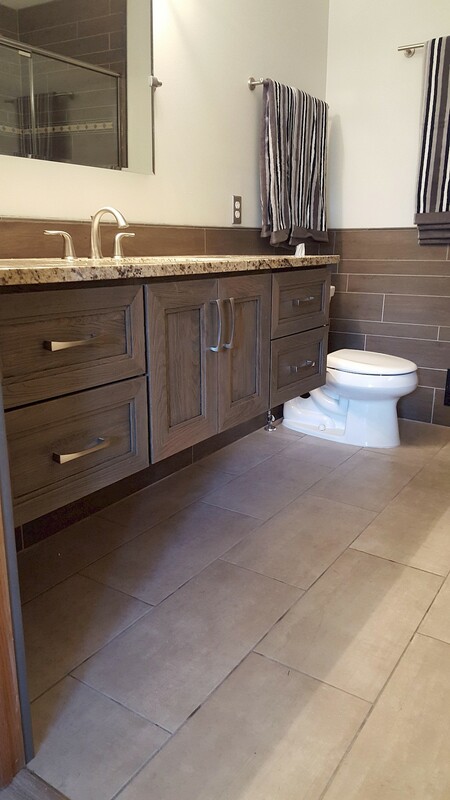 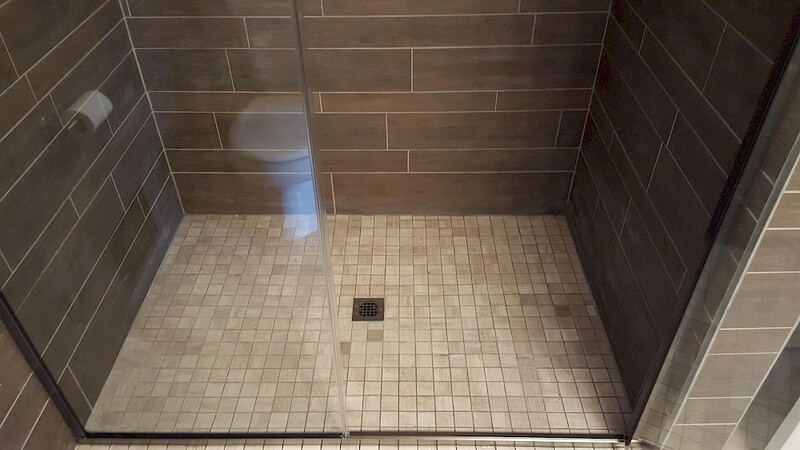 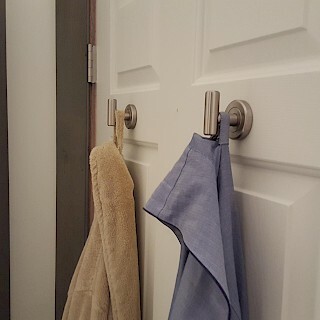 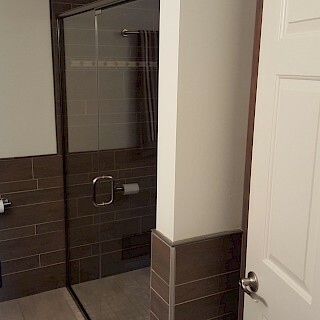 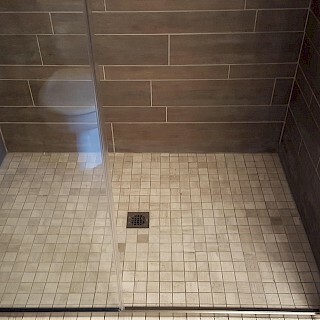 Dual showerheads, wood grain ceramic tile everywhere, floating vanity cabinet, an added linen closet, a granite countertop, and a custom glass shower door were installed by us.